Skiing the Alps is a blast, but there's more to this memorable trip! 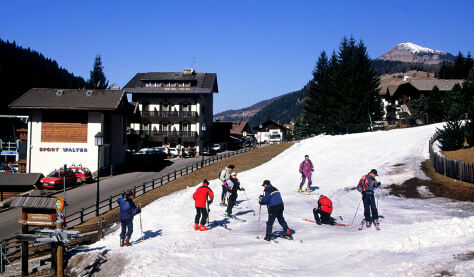 The town of Selva di Val Gardena, Italy which offers plenty of lodging, restaurants, apres ski as well as an access point to the 23-kilometer Sella Ronda circuit and other ski areas. Photo released by Italian State Tourism Board.